Consumers trust that manufacturers make and sell safe products. It is devastating to find out that a product that you thought would be safe for use is actually extremely dangerous or even deadly. Many manufacturers are represented by experienced, knowledgeable attorneys who are paid to shield companies from liability and protect their profits. If you have been hurt by a defective product, you should retain an experienced attorney to make sure that you have a fair shot at getting much-needed compensation. The same is true if you have suffered from any other type of harm caused by someone else’s carelessness, such as a car crash, a slip and fall, or an incident of medical malpractice. At Moll Law Group, our personal injury lawyers provide Madison residents with compassionate and knowledgeable legal representation. Billions of dollars have been recovered in cases in which we have been involved. Generally, you may recover compensation for serious injuries caused by a defective product if you can establish that a toy, food, device, pharmaceutical, auto part, or other product had a manufacturing, design, or marketing defect. Manufacturing defects sometimes involve well-designed products that nonetheless harm consumers because the product departed from its intended design during the manufacturing process. For example, a brake on a car might fail because of a misshapen component that was damaged due to too much heat on the product line. Usually, manufacturing defects are found in only one or a limited number of units of a particular type of product. A design defect may be proven in Wisconsin if a plaintiff shows that a reasonable alternative design would have reduced the risk of foreseeable harm. This will require the retention of experts who can testify on the existing design and whether there are safer alternatives. It will also require us to establish which harms were foreseeable at the time that a product was manufactured. A failure to warn claim requires a plaintiff to prove that foreseeable dangers would have been reduced had the manufacturer issued reasonable warnings. Failures to warn are often at issue in dangerous drug and defective medical device cases. You may be able to bring a medical malpractice lawsuit if a health care provider's negligence caused your injuries or illness. Negligence in the context of a medical malpractice claim is established by showing what other reasonable health care providers in the same specialty would have done when faced with a particular patient. If your provider did not act as other similar doctors would have when treating you, and this failure caused your injuries, you can potentially recover compensation. State and federal laws provide nursing home residents with numerous rights, including the rights to be free from abuse and to receive appropriate medical and personal care. Unfortunately, many nursing homes are understaffed, and the staff whom they do have may not be properly trained. In some cases, frustration may even result in intentional abuse. Nursing homes may be held accountable when a resident is injured because of their negligent failure to hire qualified and trained staff, a failure to provide a safe living environment, and other failures. It is important for families of nursing home residents to be watchful for signs of abuse in their loved ones, such as pressure sores, dramatic changes in behavior, depression, or unexplained fractures or broken bones. Retail stores, parking lots, and apartment complexes may be dangerous for visitors if their owners fail to inspect them regularly. Property owners must use reasonable care to keep their premises in good repair and free from hazards that might harm unsuspecting visitors. If you have been injured on someone else's property, you may be able to hold the property owner accountable for your damages. Car accidents may result in serious injuries, including paralysis, broken bones, traumatic brain injury, complex fractures, burns, and disfigurement. Negligent drivers may be held accountable for the costs associated with these injuries through a personal injury lawsuit. To establish negligence, you will need to prove the duty of the defendant toward you, a breach of duty, causation, and damages. As a worker, you may be exposed to a toxic or hazardous substance on a regular basis before realizing that exposure has caused you to develop cancer or another serious illness. For example, many construction workers, demolition crews, insulators, and boiler workers have contracted mesothelioma due to asbestos exposure. Similarly, many people have contracted illnesses due to the improper dumping practices of factories and other corporations. At Moll Law Group, we may be able to bring a toxic tort lawsuit on your behalf. 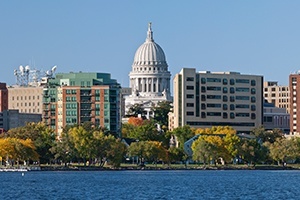 For many people, bringing a personal injury or product liability lawsuit is the only way that they can afford significant medical costs after a serious accident in Madison. The personal injury attorneys at Moll Law Group may be able to provide legal representation in these situations. Billions of dollars have been recovered in cases in which we have been involved. Call us at 312-462-1700 or complete our online form to set up a free consultation with a personal injury or product liability attorney.